The Blizzard Quattro 8.0 CA is a perfect ride for the solid intermediate to advanced skier looking for stability and edge hold. Blizzard's new Quattro Concept focuses on four key engineering elements, control, stability, precision, and agility. By designing the Quattro 8.0 with these ingredients as the focal point you will be thoroughly impressed by how it skis. 4mm or rocker in the tip and tail makes the ski highly maneuverable when carving short to medium radius turns. Blizzard has a small Suspension System over the binding platform that increases the amount of rebound and vibration dampening properties the 8.0 has. A Compound Sidewall Construction will give you a firm grip on the snow, even when things get a little icy. If you are looking for a solid carving ski, with fantastic edge grip, that will not be too demanding, the Quattro 8.0 CA will be a perfect ski for you. 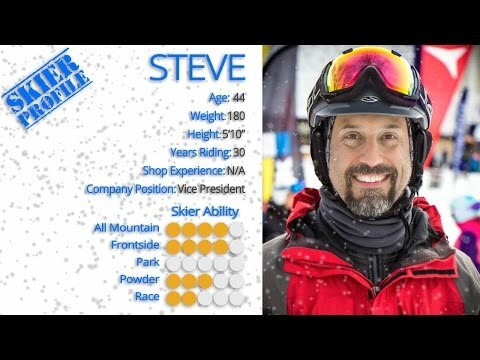 Made me a better skier. Q: its between these and the ti model o the quarto 8.0, I'm not an aggressive skier. comfortable on the blues and depending where I am and conditions I'll hit the black as well. always stick to the front side and avoid bumps . I'm 5'9" and about 200lb. Will this ski be stiff enough for me or should i move to the ti. A local ski shop was recommending something with a metal layer. Oh yeah east coast skier so can encounter anything from powder to crud, all in a day on the east coast. A: At your weight and height we also agree that you should look to a ski with metal in it. This will allow you to size down slightly for what we would normally do for your weight, while still providing the support you need. The Quattro 8.0 TI in the 174cm length would be ideal for you. Q: Hi, I am relatively new to skiing, having only been skiing for four days. At the end of the four days I was reasonably comfortable on Blues. I am looking for a ski to take me through the next 5 years of skiing, during which I hope to ski twice a year. I like the look of Blizzard skis, but not sure if I should stick with the 7.4CA or opt for the 8.0CA. I am also looking at the Dynastar Legend X80. I will be sticking with groomed slopes. Also advice on length would be helpful. I am 175cm and 80kg. Thanks. A: Both the Bizzard Quattro 8.0 CA and Dynastar Legend X 80 would be great options for you. Based on your weight and ability I would recommend the 174cm in the Blizzard and the 173cm in the Dynastar. Q: Hi, two questions: (1) - I am a super lightweight guy - 5'9" (176cm), 120 lbs. My skiing experience was largely skiing 1-2 wk/year for 15 years on all kinds of groomed runs up to European blacks; I ski quite aggressively on blues/reds often at speeds and faster than ~90% of other skiers, but cautiosly on blacks, and not very technical/beautiful skiing style since I am self-learned. Given that, what size should I aim at - 162 or 168? And (2) - it's confusing that chart says "int to adv" skill range for these skis, but all reviews below say it's more for high-end beginner - so will these skis be a good choice for me? I owned Atomic Blackeye TI before - "adv int to expert" level skis but they were too stiff since I'm so lightweight. Thanks! A: If you spend all of your time on the groomed trails this would be an excellent option for you, it is much softer than the Blackeye Ti and therefore easier to control and less fatiguing to ski. Based on your weight, ability and location I would recommend the 168cm for you. 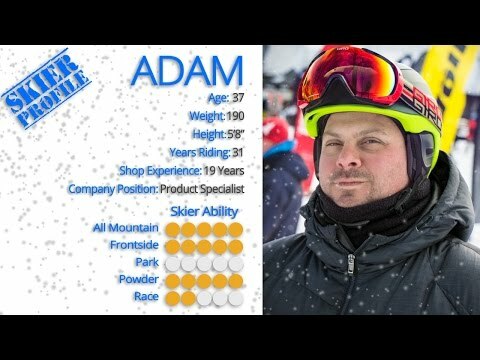 Q: Hi- am an East Coast skier - fine on blues, can hit some blacks but not comfy cozy there yet. No need to go fast, so guess I'm on the cautious side.5'10", 176# - moving up from my 1st skis which were Elan P19s, 114-70-100, 160cm I've had since 2013.Thinking Ca is probably more my speed- but the Tis could be cool too.Also, what length would you recommend? A: If you feel that you will get more aggressive on skis in the next few years, I would recommend that you step up to the Ti version. Based on your weight the 180cm will be the optimal size for you. Q: Whats the difference between this ski and the Ti? What type skier chooses this instead? A: Both skis have the same shape and rocker profile. A single layer of titanium will make the ski stiffer, stronger, and more stable at high speeds. The CA is best for an intermediate skier, or someone who is a little lighter. The Ti version would be better for an advanced, heavier or more aggressive skier.